Travel from Nashville to Lynchburg, Tennessee to learn the story Jack Daniel, his hometown, and his world famous whiskey. This immersive tour experience is much more than a shuttle to Jack. Your ticket includes guided transportation with a whiskey expert, guaranteed reservation for an "Angel's Share" tour with elevated tasting of premium whiskeys at Jack Daniel Distillery, exclusive toast to Jack Daniel at his grave site with a souvenir rocks glass, and time to enjoy lunch and shopping in small town Lynchburg. The hassle-free day will be filled with local lore, distilling history, and, of course, great whiskey! This Tennessee whiskey adventure departs from the Omni Nashville Hotel (in lobby next to Bongo Java) at 250 5th Avenue South at 9:00 a.m. and returns at approximately 4:00 p.m. each Sunday, Monday and Tuesday. 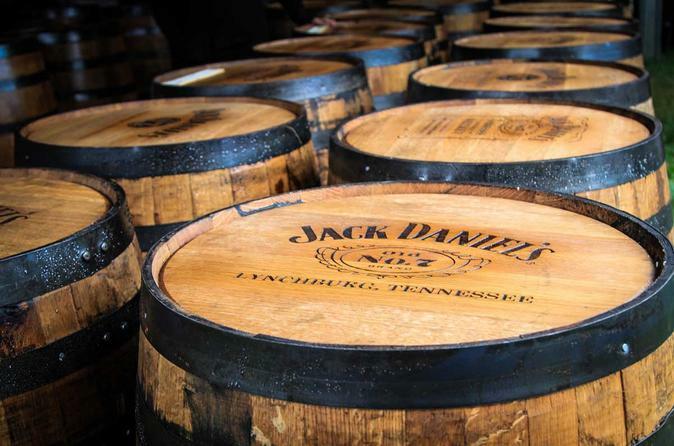 Meet your tour group at the Omni Nashville Hotel and head to Lynchburg, Tennessee, the home of Jack Daniel! You'll travel about 90 minutes south of Music City to the historic distillery where Jack Daniel's Tennessee Whiskey is made. You'll learn all about the life of Jack, the process used to make the world's most popular whiskey, and how distilling has changed between the 1880s and today. Gain expert insight, fun facts, and more Whiskey 101 from your guide in between destinations as you travel on a safe and comfortable bus. This Tennessee Whiskey Trail adventure returns to Nashville at approximately 4:00 p.m.